I am a rampant consumer of books scooping them up by the armload from sales tables in the big box book stores – established authors, first time novelists, Canadian and international writers. But I have never read anything quite like Winterwood! 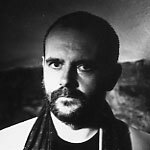 Even as I read and re-read whole sections looking for clues, I couldn’t quite figure out how Patrick McCabe did it. You know something terrible and brutal and bloody has happened, continues to happen and will happen again, but McCabe doesn’t ever show it to you. He slips and slides all around it, sneaks up on it with incredible precision … real close. He has you peaking through the tall pines and then yanks you back just when you’re ready to cover your eyes, leaving you to imagine the horrific scene that must come next. Uncomfortable throughout the entire read, I kept thinking, just put the book down, walk away, then afraid to leave it and, worse, to turn the pages but unable to stop myself from doing so reading on with trepidation. Is he going to show me now? He never does. The violence remains in shadow. I don’t think I’ll ever be able to open a chocolate bar again without thinking of the wild and wooly Auld Pappie, Ned Strange. You’ve made this as irresistible as (apparently) reading the book is. I think I have to get it! I’m trying to decide if I’m ready to take on another of McCabe’s books! 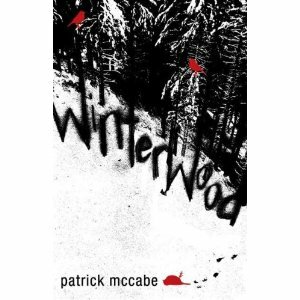 I look forward to hearing how “Winterwood” impacts on you as reader, writer. I read the book February, by Lisa Moore, on your recommendation – and loved it. Now I hope to read Winterwood. McCabe sounds like a master in this genre. Dibs! Come and get it! But buckle up your seat belt before settling in to read it.